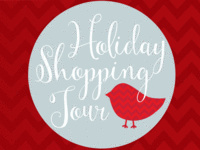 UofL and the Louisville Independent Business Alliance (LIBA) will take shoppers on a whirlwind tour of local shops and restaurants on the sixth annual Holiday Cards “Buy Local” Shopping Tour. The tour will visit locally owned businesses in several Louisville neighborhoods. The registration fee includes opening and closing receptions, door prizes and transportation to. The trip is open to the public, but bus seating is limited. UofL faculty, staff, students and alumni will receive priority for seating. Activities will begin with festive drinks and a light breakfast at the University Club at 8am. Shoppers will board a bus at 9am to begin their day of shopping. The group will return to the University Club for a closing reception from about 4pm to 6pm. It will feature drinks, hot hors d’oeuvres and door prizes. Register online by November 18th.